A local favorite, this pub offers satellite European football and a menu that may include fish & chips. : It’s no mirage: that is an English pub hunkered in the middle of Little Haiti. 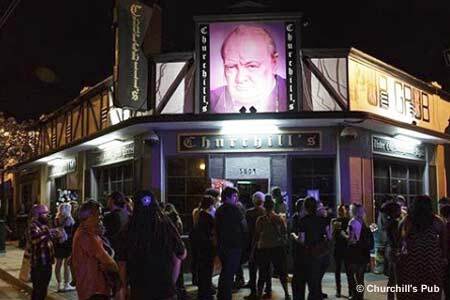 Rock lovers call Churchill's an oasis for local music. The menu may include fish & chips and other pub grub to sate an ale-induced appetite.